Here’s a little break from all the food posts. This weekend I finally had some time to get going on a sewing project that I’ve been looking forward to — a pair of pajama pants. 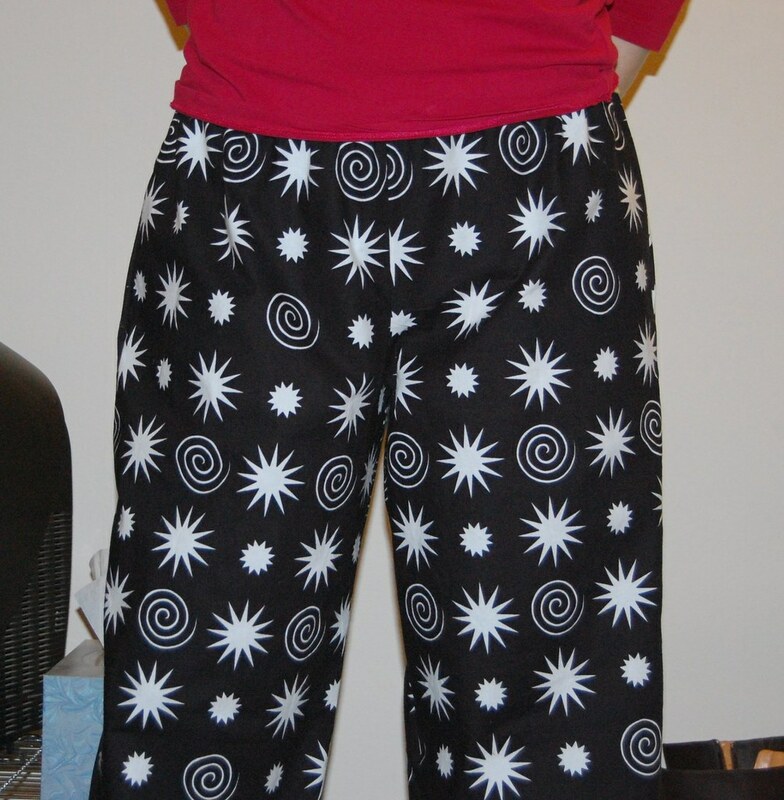 I used Kwik-Sew 2662, which includes markings for shorts that I’ll be sure to do in the spring. I chose a fun black and white cotton fabric: Jane’s Hothouse Garden from Westminster Fabrics. In the end it worked out quite well — the pants come up to a comfortable height on me (especially given that I tend to wear my pants low). This was a pretty quick and easy project overall — I think it took me about 4.5 hours over two days, and that includes the time spent ironing the fabric after it was washed (on my dorm-sized ironing board), figuring out how to adjust the pattern, crawling around on the floor cutting pieces out, shooing Coco away from the sewing machine and fiddling around with the elastic while getting used to working with it. Next time around I think it will be even faster.